Net Neutrality is described as the most important and least understood first amendment question in recent history. What is Net Neutrality? Net Neutrality might be both the most important and least understood first amendment question in recent history. Simply by the name alone it is difficult to understand what the issue even concerns. 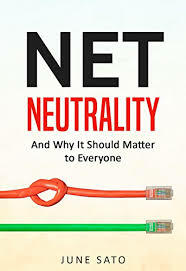 Net Neutrality refers to the oversight and regulation of the internet. Since the dawn of the internet, packets of information have zipped around at roughly the same speed. No single bit of information had priority over another. As the internet has expanded and the amount of information shared has increased exponentially, some companies have wanted to limit or prioritize some information. As a response to this we have two options, we can either allow private companies to self regulate the internet and choose which information travels at which speeds or we can have the government regulate the internet as a public good and allow unrestricted flow of information. I’m sure the reader can notice the problems with the unregulated internet. Companies can filter the speeds at which certain information travels and therefore reduce access to some websites. This can be done to eliminate rival information as the large multimedia corporations gain further and further control over the information they allow us to see and the networks we use on a daily basis. We can also choose to have the government regulate these networks as a public good. This would remove companies’ abilities to limit the information we see and share on the internet. It seems to me the choice is clear. If we wish to continue to use the internet as the largest enhancement of speech the human race has ever known, we need to make sure that speech cannot be limited by the whims of a multinational corporation. The internet should always be a free space to share ideas and information without interference. It is time the government came out forcefully in favor of Net Neutrality. Paper Masters writes custom research papers on Net Neutrality and describe the most important and least understood first amendment question in recent history.